Being stuck in negative equity can be financially and emotionally draining. Dealing with negative equity is easier if you can afford to keep up with your mortgage repayments and wait for the property market to improve. However, it becomes a problem if you want to sell your home. Unless you can afford to repay the difference between the property value and the mortgage, you may find it difficult to sell your home. Our blog post looks at what your options are for selling a house with negative equity. Your property is in negative equity if the value of your home is less than the mortgage secured on it. For example, if you bought the property for £150,000 with a £120,000 mortgage and your home is now worth £100,000, you would be in negative equity. You may not know whether or not you’re in negative equity. To find out, check the current market value of your home and compare it to the amount outstanding on your mortgage. If your property value is lower than your mortgage balance, you are in negative equity. Before making a decision, you should speak to your mortgage provider to get an idea of how much you owe and whether you can transfer your mortgage to another property. If you move your mortgage over, you would transfer the outstanding debt to the new property and increase the size of your existing mortgage to make up the difference. If your financial situation improves, you could make overpayments on your mortgage to shorten the mortgage term and reduce the negative equity on your home. Staying put, slowly paying off your mortgage and waiting for the property market to improve is the cheapest way to deal with negative equity. As long as you don’t need to move and continue to pay your mortgage each month, you won’t have to worry about repossession and can slowly climb out of negative equity. If you’re wanting to move sooner, you could start making overpayments on your mortgage. Most lenders will allow you to make regular overpayments on your mortgage without fees, but may set a limit on how much you can overpay. If you have savings, you could use them to reduce the amount you owe on your mortgage. Before using your savings, you need to confirm whether you’ll be charged by your mortgage provider for paying a lump sum and check for any interest penalties on your savings account. Mortgage rates are always higher than savings rates and most lenders allow you to pay off up to 10% of the outstanding balance without penalty. Although using your savings to pay off your mortgage may seem like a good way to deal with negative equity, it’s important to retain some money for emergencies. If your property price has fallen just below the amount you owe on your mortgage, there are ways you can increase the value of your home. You could look at the price of similar properties on the market in your area and even arrange a few viewings to see how your home compares. You may find that there are several enhancements you can make to your own home to add value. Some of the ways you can add value to your home include fixing structural issues, replacing worn carpets, re-decorating and installing additional security measures. If you can’t afford to sell but need to move, renting out your property may be the best option. You could repay your mortgage using rental income until your property comes out of negative equity and you are able to sell. Whether the rental income would cover your mortgage repayments depends on a number of factors, including the local market, insurance costs, property upkeep, tax and letting agent fees. You don’t have to use a letting agent when renting out your property, but it can help with advertising, showing round prospective tenants and drawing up a tenancy agreement. 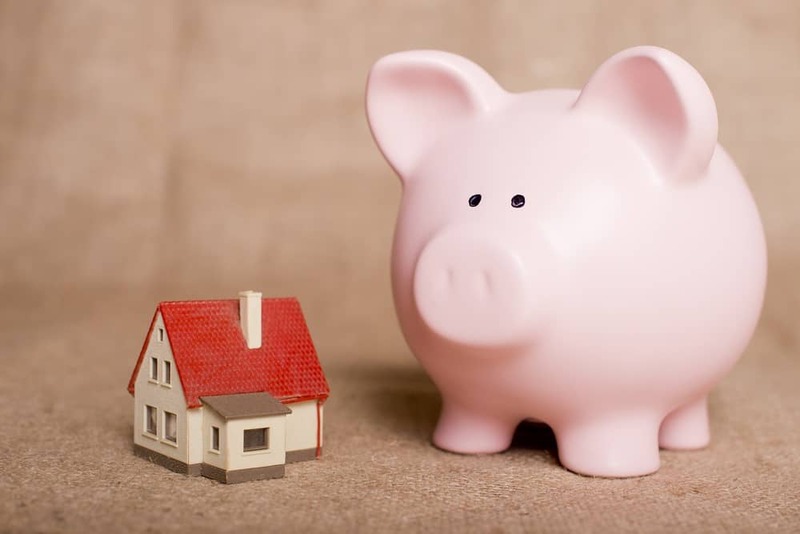 If the difference in value between your property and the outstanding mortgage is small, you could take out an unsecured loan to clear the shortfall. Before you take out a loan, you need to make sure you get a good rate and can manage the repayments. Taking out a loan will increase your debt, is likely more expensive than borrowing on your mortgage, and should only be considered in desperate situations. As your credit score will not be affected by your negative equity unless you choose to sell, you’ll still be able to apply for a personal loan. If you’re still struggling to meet your mortgage repayments and are stuck in negative equity, you may need to sell your home. Selling your home when it’s in negative equity will break your mortgage terms, will be expensive and should only be an option if you’re in severe financial trouble. You will need your mortgage lender’s permission to sell the property if you know you won’t get enough from the sale to pay back what you owe. The lender will then send you a bill for the shortfall and if you don’t make an arrangement to repay it, you could be taken to court. If you need to sell your house fast to alleviate financial burdens, you may want to consider selling to a regulated property buying company like Good Move. We buy any home for up to 85% of the market value and aim to complete a sale in as little as ten days, with no seller fees or property chains.